If you’re interested in joining us for our next performance then fantastic! 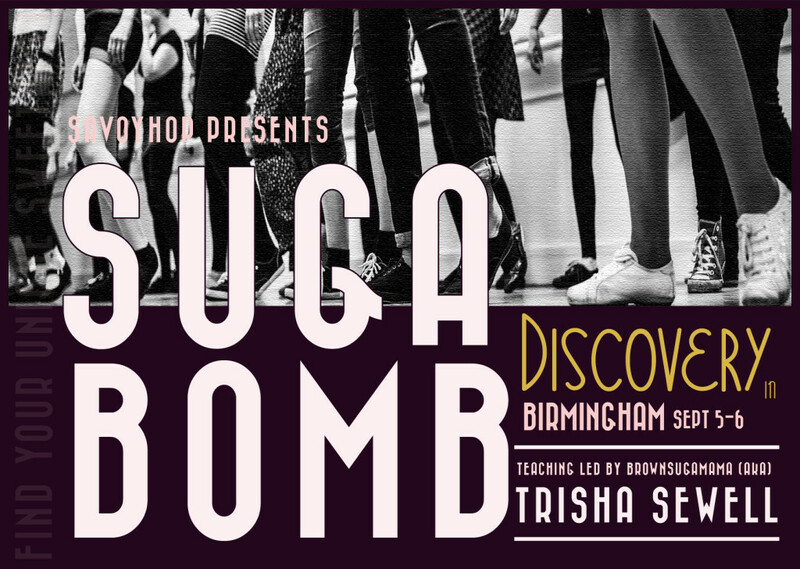 We’ll be learning a whole new routine now after our performance at “Put Your Foot Down” as part of International Dance Festival Birmingham, so you can join us now without missing anything. We’re a mixed bunch of beginners, improvers & intermediates that just love dancing & want to learn more! It’s a great opportunity to learn some great Lindy routines that you see at all the socials you go to, and learn new moves in a structured, repetitive way. It will be challenging…all that we ask for you to join this group is that you are committed to coming as much as you can to keep up with the routines! How would you like to be in the FIRST 360 Swing Dance Video?? Yes that’s right, we’re living in the future AND we’re gonna start a trend. Those 360 cameras that you’re starting to see pop up everywhere is making a guest appearance on the dance floor at the STOMP STOMP party! So not only do you get a live band & hours of social dancing – you also get to be internet famous! Book your tickets to this awesome event by clicking here. If you don’t want to be in the video have no fear, we’ll only be doing it for one song and we’ll give you a heads up beforehand, so you can clear the gangway when the time comes. Er…What the heck is 360 Video? Okay, so you’re watching some dancers on youtube on your phone. They have some wicked moves, but then suddenly they do a swing out right off screen and start dancing there instead. What the heck?! How frustrating, you can’t see them anymore. With 360 camera, you just move your phone after them to the right, and hey, there they are. And if you physically move your camera behind you, hey, there’re lots of dancers in here! It’s a party! Whoa! Welcome to 360 Video. If it’s a phone or ipad you can physically move your camera around to see whatever you want. On my laptop, in the top left hand corner of the youtube video there’s some arrows that lets me look wherever I want instead. All you have to do is hold your phone in the direction you want to be looking at, whether that be behind you or above or to the left to see what else is happening in the video. The camera will be set in the middle of the dance floor at around 10.30pm, halfway through the big bands first set. So please don’t knock it over when you’re dancing! The video will be put on YouTube for all the world to awe and ah at, so if you don’t want anyone else stealing your moves, don’t be in on it. Aside from that, all you really need to know is that it’s happening, for real, and I am well and truly very excited! So if you were on the edge of booking your tickets, here’s your final incentive: be part of the very first 360 Lindy Hop Dance Video! It’s gonna be a blast! ; D Book your tickets here now! We’re taking swing dancing in Birmingham to a whole new level. It’ll be challenging, you’ll need to be committed to it ’till the end, and it’ll be a ton of fun! Starting from 7th March 2016, The Swing Era is going to grow it’s very own Performance Troop! We will be learning classic routines and getting the group ready for actual performances – the first one is already on the horizon as part of International Dance Festival Birmingham! All that we ask for you to join this group is that you are commited to coming every week to keep up with the routines and that you know the Shim Sham routine. This class will start at 21.15 straight after the Level 2 class on Monday at St. Anne’s Parish. This lot have already had a head start! 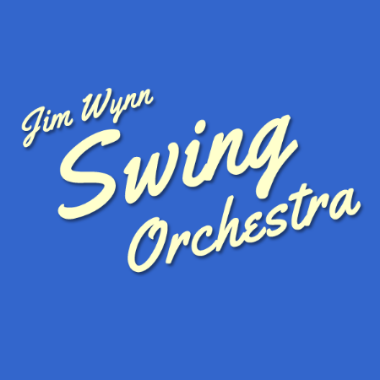 We’re going to see the Jim Wynn Swing Orchestra at Urban Coffee in the Jewelry Quarter in Birmingham on Sunday 9th August at 3.30pm. Don’t miss this event and please come down and have a dance with us!Information for this event can be found here. TRANKY DOO & SHIM SHAM! It’s the first week in August, it’s a super busy time of year so we’ve decided to do something a little bit special this coming week. We’ve had lots of requests for this so I’m pleased to announce that we’ll be working on some solo jazz taught by Suzanne Grubham! Not only will this improve our styling and musicality when dancing Lindy Hop but we’ll get to work on those amazing routines – Tranky Doo and Shim Sham. So if you get frustrated that you can’t join in when you see people flood to the dancefloor for these routines, or you want to add that bit of extra styling, then make sure you join us. Wednesday at Alfie Bird’s we’re teaching one Shim Sham class at7.30pm followed by social dancing instead of our usual 2 classes. 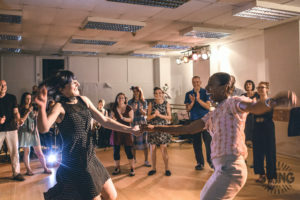 The following week (12th August) we’ll go back to our Improvers Lindy Hop class at7.15pm and Beginners Lindy Hop class at 8.15pm with social dancing after classes from9.15pm. Thursday at the Dance Workshopwe’ll start work on the Tranky Doo in Improvers class at 6.45pm, and we’ll be working on some fun solo jazz in Beginners class at8pm. We’ll head to The Prince after classes for a drink and some social dancing. 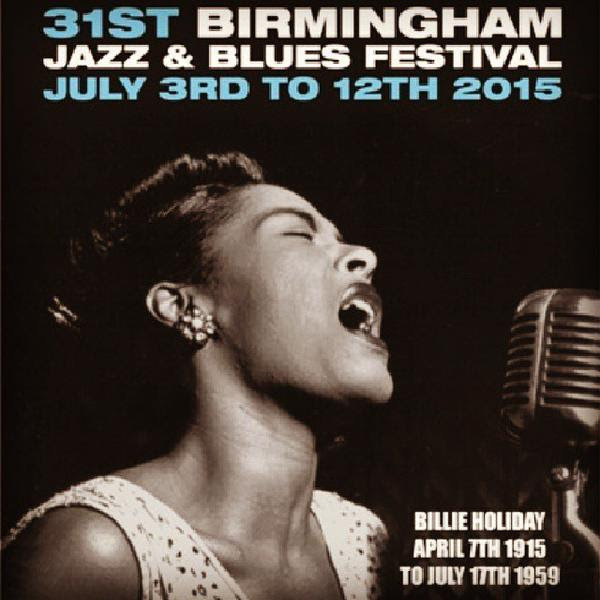 Dance classes at Birmingham Jazz & Blues Festival 2015! We’ll be teaching a taster class on July 4th along with social dancing to The Catfish Kings at 3PM and Sticky Wicket’s Hepcats at 5PM at the Pop-up Dancehall on Regency Wharf. Check us out in the festival program here. Jazz Festival Birmingham highlight includes this Solo Jazz Workshop with Katie Sewell and live music at The Dark House in Moseley on 11th July! Only £15 for a really fun 2 hour workshop for all levels! Have a nice lunch at The Dark Horse and then head into town for all the marvelous Jazz bands playing around the city for the Birmingham Jazz Festival.Places will be limited though, only 25 places so get your spot quick! We’re also very excited about teaching taster classes there too, so don’t miss it! Check out the line-up and buy tickets for Mostly Jazz Festival here. Katie has been swing dancing since 2007, but has danced her whole life. She spent 4 years living in Madrid where she taught Lindy Hop, Solo Jazz, Balboa and Blues. Now back in her hometown, Birmingham, Katie is excited about helping to grow the burgeoning West Midlands scene. Hot Ginger – Sensational Summer Shindig 2015 is back! They’re taking over the upstairs bar at the Hare & Hounds in Kings Heath, Birmingham. 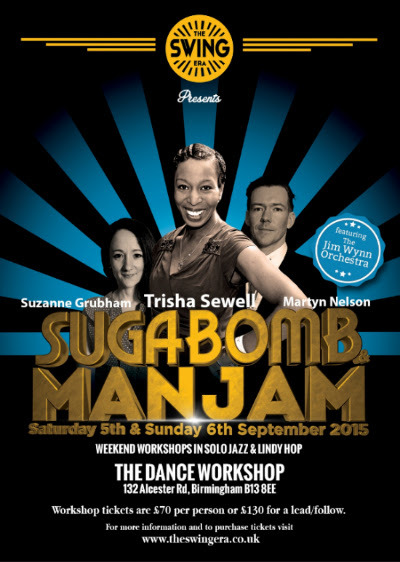 Doors open at 8.00pm for the swing dance taster class with your very own Martyn Nelson and Suzanne Grubham. The music starts at 8.30pm and we’ll be open into the early hours. They’ve got a great line up of the hottest swing DJs in town including Hot Ginger’s resident DJ Stephen Badham, alongside DJ’s Dispy Doodle (Claire Nelson) and Katie Sewell! Tickets are only £7 and limited, so click here to grab yours now! And don’t miss out on the conversations we’re having over at the Hot Ginger group on facebook.